The Department of Health and Human Services’ Office for Civil Rights (OCR) has announced that Children’s Medical Center of Dallas has paid a civil monetary penalty of $3.2 million to resolve multiple HIPAA violations spanning several years. It is relatively rare for OCR a HIPAA Civil Monetary Penalty to be paid by a HIPAA-covered entity to resolve HIPAA violations discovered during OCR data breach investigations. In the vast majority of cases when serious violations of the Health Insurance Portability and Accountability Act are discovered by OCR investigators, the covered entity in question enters into a voluntary settlement with OCR. Typically, this sees the covered entity pay a lower amount to OCR to resolve the HIPAA violations. OCR attempted to resolve the matter via informal means between November 6, 2015, and August 30,2016, before issuing a Notice of Proposed Determination on September 30, 2016. In the Notice of Proposed Determination, OCR explained that Children’s Medical Center of Dallas could file a request for a hearing, although no request was received. Consequently, Children’s Medical Center of Dallas was required to pay the full civil monetary penalty of $3,217,000, making this the biggest HIPAA violation penalty of 2017, eclipsing the payments made by Presense Health ($475,000) and MAPFRE Life Insurance Company of Puerto Rico ($2.2 million). Children’s Medical Center of Dallas is run by Children’s Health, a Dallas-based healthcare system comprising three hospitals and numerous clinics in North Texas. On January 18, 2010, OCR was notified by Children’s Medical Center that a breach of patients’ electronic protected health information (ePHI) had occurred. The breach involved the loss of a Blackberry device containing the ePHI of 3,800 patients. The device had not been encrypted and was not protected with a password, allowing any individual who found the device to access the ePHI of patients. An investigation into the breach was launched on or around June 14, 2010. 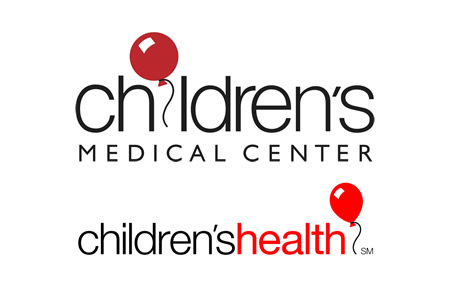 As part of the investigation, Children’s Medical Center provided OCR with a Security Gap Analysis conducted by Strategic Management Systems, Inc., (SMS) between December 2006 and February 2007. That analysis revealed a lack of risk management at Children’s Medical Center. In the report, SMS recommended that Children’s Medical Center implement encryption on portable devices such as laptop computers to prevent the exposure of ePHI in the event that a device be lost or stolen. Children’s Medical Center failed to act on that recommendation. PricewaterhouseCoopers (PwC) conducted an analysis of threats and vulnerabilities to ePHI in August 2008. In the PwC report, it was also recommended that Children’s Medical Center implement encryption on laptop computers, workstations, mobile devices, and portable storage devices such as USB thumb drives. PwC determined that the use of encryption was “necessary and appropriate.” Children’s Medical Center failed to act on PwC’s recommendations, even though encryption was rated as a “high priority” item. To OCR it was clear that Children’s Medical Center was aware of the risks to the confidentiality, integrity, and availability of ePHI and that were was a lack of appropriate safeguards for ePHI at rest. Children’s Medical Center was aware of the risks as early as March 2007, more than a year before the security incident occurred and ePHI was exposed. Had Children’s Medical Center acted on the recommendations of SMS or PwC the breach could have been avoided. In addition to the lost Blackberry in 2010, Children’s Medical Center reported the loss of an unencrypted iPod containing the ePHI of 22 patients. The loss occurred in December 2010. On July 5, 2013, Children’s Medical Center notified OCR of another breach involving an unencrypted device. In this case, the laptop theft resulted in the exposure of 2,462 individuals’ ePHI. Even after the data breaches were experienced, Children’s Medical Center failed to act; only implementing encryption on portable devices in April, 2013. From 2007 to April 9, 2013, nurses were using unprotected Blackberry devices that contained ePHI, while other workers were using unencrypted laptop computers and mobile devices until April 9, 2013. Encryption of ePHI is not mandatory for HIPAA-covered entities. The use of encryption to safeguard the confidentiality, integrity, and availability of ePHI is an ‘addressable’ issue. HIPAA-covered entities are required to conduct a comprehensive, organization-wide risk assessment to determine vulnerabilities that could potentially result in the exposure of ePHI. If, after performing the risk assessment, the covered entity determines that encryption is not ‘reasonable and appropriate’, the reasons why encryption is not deemed necessary must be documented and an equivalent measure must still be implemented to ensure ePHI is appropriately secured. Children’s Medical Center failed to document why encryption had not been used and also failed to implement an equivalent security measure. Furthermore, OCR determined that prior to November 9, 2012, Children’s Medical Center did not have sufficient policies and procedures governing the removal of hardware and electronic equipment from its facilities or movement of the devices within its facilities. Until November 9, 2012, Children’s Medical Center could not tell how many devices those policies and procedures should apply to: A full inventory was only completed on November 9, 2012. While devices had been inventoried prior to November 9, 2012, devices managed by the Biomedical department were not included in that inventory, breaching the HIPAA Security Rule (45 C.P.R. § 164.310(d)(l)). OCR determined that the violations were due to reasonable cause and not willful neglect of HIPAA Rules. Had that not been the case, the penalty would have been considerably higher. OCR considered the fact that there had been no apparent harm caused to patients as a result of the lost devices, and chose the minimum penalty amount of $1,000 per day that the violations were allowed to persist. OCR’s Final Notice of Determination can be viewed on this link.